Buying a new car made me realized one thing...our booster seats need serious TLC! I know sometimes my boys will step on the booster seat (of course with their shoes on!!) to climb over to the back seat or to the trunk area to get something they dropped. I never really paid attention how dirty the booster seat covers were until I was trying to transfer everything from our old minivan to the new one. There were unidentifyable stains everywhere and it was just very nasty looking. Especially in the new car, those car seats looked so out of place. I washed the seats and disinfected them while I threw the covers in the washer. That's when I decided to make booster seat covers! One booster seat is from Costco, and the other one is from Graco. The Costco booster seat cover is just flat and looks very simple to make, and the Graco one is a little bit more work. 2. Cut out the top fabric, batting and backing by using the pattern. This costco one had tabs. I used vinyl (the kind that is used for table cloths and such) to make tabs. Lay the right side of the fabrics and batting together, and insert three tabs in place and pin. Using 1/4" seam allowance sew the one side together. When you turn it inside out, the tabs will be sewn in. 3. Line up all three edges that are not sewn and flatten the fabric. Sew on the layered fabric to stablize them. I did 4" apart between the lines, this gives a quilt effect. 4. Sew bias tape on all three sides. 5. Make holes with an awl on the tabs and bottom of the cover. When I created the pattern, I also marked them on the paper to make things easier. At the beginning of this year, I promised myself that I would not buy fabrics (well, within the reasons...maybe occasionaly...) and use whatever I have on the shelf instead. I can't believe it is almost October, I love fall but I don't know if I am ready for the busiest months of the year! I am so excited to see what you got for this week! I was working on a project last week, which was to use a 42" x 61" scarf to make something. Lots of ideas flooded my mind, and I finally decided to make an outfit for Rachel. At first I wanted to make a dress, than I thought, instead of making a dress, if I make a blouse and skirt, that will widen the variety of her outfits. And, she can still wear them together to make it look like she is wearing a dress. I came up with a pattern for the tiered skirt. 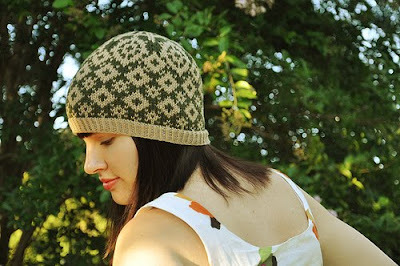 I had a pattern by “New Look(6882)” and really liked the design, I changed a few things here and there and made the top. I also made a belt for when she wears them as a dress. I wanted to make the skirt a little bit longer, but I only had 42"X 61" (it was little bit challenging yet fun!). I had no wiggle room. She can wear this for three seasons; Spring, summer and fall. Depending on what she coordinates with, there are so many ways to enjoy this outfit (Not that Rachel would care that much, yeah, it is mostly for me to have fun). I am sooo happy today! (well, I am generally a happy person but today, more so). Do you wanna know why...? Because, my garage is finally clean and organized! It was one of the things I wanted to do for a while, but I really needed my husband`s help to move big stuff around. It was definitely not a one person job. We got rid of lots of junk and things are much easier to find. Ever since the kids` school started, I have wanted to clean and reorganize the house. It was very difficult to find the time to do so during the last couple weeks with all the car problems and driving lot more than usual. Although, I did some organizing, today, I felt like we did a lot. Meanwhile, I have my pics for this week. They were all fun and wonderful, thank you so much for participating everyone! 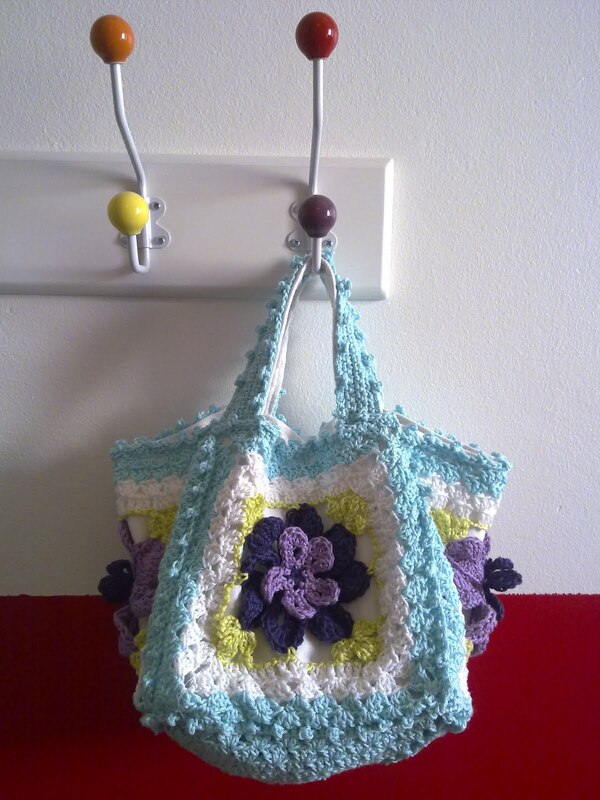 The first one that caught my eye was this crocheted bag. Isn't it so beautiful?! I love the color combinations and she did such a wonderful job. Twelve days till Christmas shared this easy and simple idea... Pretend wipes!! How cute is that? I know for sure that my little girl who loves to take care of her baby dolls will love this. Do I hear "Stocking stuffer"? She did it again... Welcome to the Good Life used her mom's vintage skirt to make this fabulous dress. She is a genius! 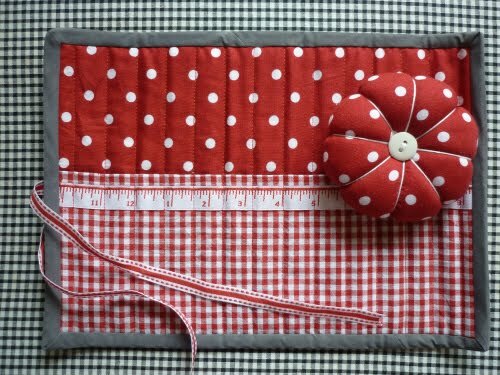 Red Gingham made these cute crochet roll and pin cushion. I love love them! Again, thank you everyone for your links. I enjoy going through them. Have a wonderful Sunday; I will see you at the next post! Hi, Wednesday at Tea Rose Home Link Party is back! Pretty fabric... I finally have decided what to do with this one. Started cutting, can you guess what is going to be? Ok, ladies, I bet you guys are being busy and very anxious to share your finished projects. I am absolutly excited to see them! My friend Christie over at A Lemon Squeezy Home is going to have a purse challenge contest on October 4th through the 8th. She asked me to be one of her judges for this challenge and I excitedly accepted it! Please head over to her blog and see all the details and great prizes she has. It will be fun! It is crazy, but I did it. I did it with a pretty good attitude, because I had something I was looking forward to. Girls weekend getaway!! Oh...this was so good. More food came after this, but I was busy eating and forgot to take pictures of them. Amy Butlerish(is that even a word?) carpet. Also, we went to a HUGE swap meat. It was held outside in very hot weather. Near the end I thought I was going to pass out from heat exhaustion. Although, I found some great stuff, and here are my most favorite items. The purplish pink necklace is all handmade and I bought it for only $5! I love the uniqueness of it, and I know it will be great addition to my fall outfits. I also found a vendor who was selling leathers (in this picture, this brown background you are looking at is the leather). I wanted to buy some leather for quite a while to use for my basket makeovers. I was so excited!! I will be using this leather soon. It was a great getaway! The funny thing is though, I was never completely "AWAY". I guess once you become a mother, your heart is always attached to your loved ones no matter where you go. Our minivan was having problems lately (again), last week I took the car in to the dealership, and they told me that it will cost us a little over $700.00. Now, this summer alone we spent over $3000.00 on the car. I was thinking to myself, "REALLY?!! AGAIN?!!" The car is a 2003 model and we bought it new in 2004, but after a while it became nothing but problems. We always take care of our cars, tire rotations, oil changes and all the other maintenance required. It was a BIG lemon. I told them that I will discuss this with my husband and return in a few days. After that, my husband and my oldest son (9 years old) got out of the car and started pushing. It was over a mile! Thankfully, some very kind motorcyclists stopped and helped push us home. I am extremely thankful for them! After we got home, we took the other car and went to the fund-raiser, but we got home a lot later than our original plan, and we were all so exhausted... but we decided not to waste any more money on that car and just buy a new one. We were up late and started doing research on which minivan to buy. The next day, after my husband got off of work, we went car shopping. We went to a couple car dealers, and by the time we decided to buy, we had a looooong discussion and negotiation process. By the time we got the paper work done, it was after 10:30 P.M.! Again, we were sooo exhausted. We hope this car will last at least 12 years for us(I am crossing my fingers!). It was a long week, but we are all well and happy. Long story short, all the above are the reasons (or excuses) for why I don't have any decent posts today. :) I hope you all understand. CSN Stores has over 200 online stores where you can find everything from coffee table to awesome cookware and home decor. I have been given an opportunity to review one of their products soon, and I am super excited! Keep coming back to see what I am going to review! Meanwhile, go check out their store to see their thousands of items. There is something for everybody (some early Christmas shopping perhaps?). Here are some pictures of my quilt. The quilt is random and eclectic. What I love about this quilt is that it has cheerful colors and is homie. This will be perfect for the kids to snuggle up with and watch movies. Well...I guess it is great on grass too. He is happy to try it out. Before I go on with the link love for this week, I have a small announcement to make. I have so much going on this week, I don't think I will have time to go through all the links from the next link party. I am going to take little "Link party break" this week. If you already had something in mind that you wanted share, I am sorry! Please share it next time. Untangling Knots shared this wonderful hat she designed for her friend. Isn't it so nice? I am not a big fan of Halloween decore, but I love this Spider Wreath by Crafts & Sutch! It is not over powering, yet has a character and charm. Great job! 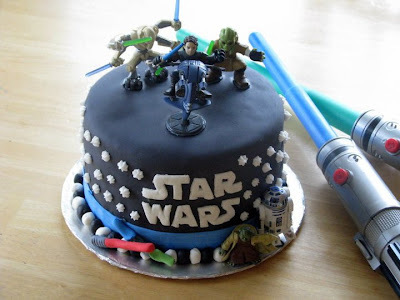 My boys love Star Wars, and I am always looking for great birthday party ideas, I had to pick this! Glue Sticks shared this fantastic cake she created for her little boy. Mmmm... I love muchrooms. I was just talking with someone saying that I wanted a really good stuffed mushroom recipe and I found this at Mandy's Creative Corner! Were you in the room? My mouth is already watering, I am going to give this a try. 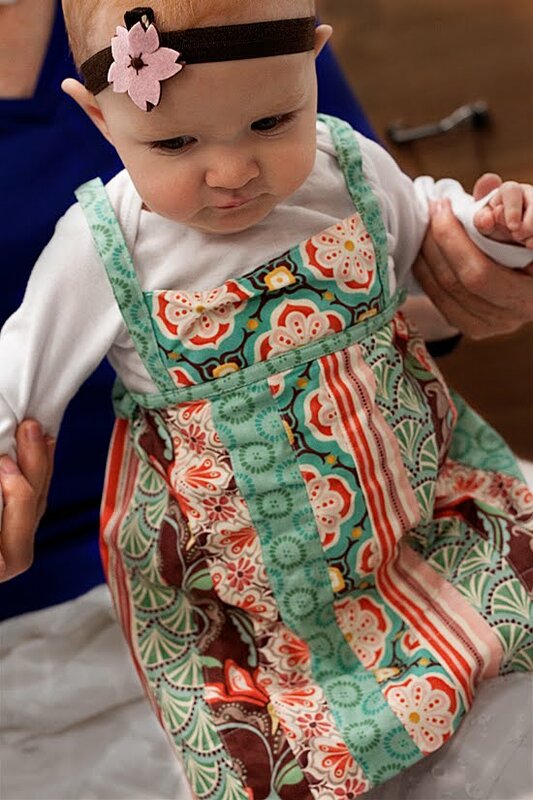 What Allie's Making Now made this dress using a tutorial by Make it and Love it. It turned out so nicely, I would love to make one for me too! You guys never cease to amaze me with your talents. Thank you for linking up and making this link party possible. Have a blessed week! I had a really busy week, since the kids are back in school, everything is in full swing. Usually it takes time for me to get used to the new routine. I slept in and had a slow start to the day (which is very rare!). By the time I fed kids lunch, I was back to myself, I had an itch to sew. There was a quilt top I put together a few weeks ago (remember the Liberty of London fabrics?) and I was kept going back and forth should I hand quilt(I am in my comfort zone), or ignore the fear of machine quilting and just try it (which would put me way out of my comfort zone). Guess what?! I decided to try machine quilting! I have done machine quilting before, but I used straight lines on a much smaller quilt. This time I wanted try "loops". Ok, it doesn't sound difficult to do, but when I think "what if I mess up?" I just didn't have the guts to do it. For some reason, I felt like I could do it this afternoon. What happend to "What if I mess up?" well, that attitude became... "Nah, it's ok, I have to start somewhere and practice, I will just do my best." So, I did it! It took me 7 hours(including the time to cook and feed my family a dinner) and like I predicted, it is nowhere near perfect. The loops and stitches are not equal in some areas... but I feel ok! I did it! I hope this is the start of many more machine quilted quilts. I have several quilt tops that are waiting to be quilted, I hope get a chance to practice more and get good at it someday. I will share the picture of the finished quilt when I am done with the binding. Have a happy Sunday everyone!